BRIGHTON, Mich.- We're one day closer to the big Thanksgiving feast, which means it's time to make sure we know what we're doing in the kitchen. Yesterday, in the 1st Part of our Thanksgiving Series we explained How To Safely Thaw A Turkey. Today, we have gathered up 5 Tips For Cooking A Turkey perfectly to refresh your memory before the big day! 1. DON'T STUFF THE TURKEY- Not only is this a bad idea, but it can be unsafe. It is unlikely that the stuffing will cook evenly inside the turkey, and by the time the stuffing reaches a safe temperature, parts of your turkey will be over cooked. If you're going for the look, just spoon the stuffing into the turkey cavity before you serve it. 2. SEASON THE WHOLE TURKEY- The key here is generosity, inside, outside, and under the skin. There's a lot of meat on a turkey, so don't go light. Use butter or oil under the skin and on the outside to keep the turkey moist and juicy. And don't forget to season, even inside the cavity. 3. PROPERLY PREPARE- Tuck, tie, and cover to ensure a pretty bird that's cooked to perfection. Pull the wing tips forward and tuck them under the breasts so they don't burn and your turkey sits straight. Tie the legs together with kitchen string or floss to keep a beautiful shape and even cook, and then cover the breasts loosely with a piece of foil for 75% of the cooking time to keep the turkey moist. 4. 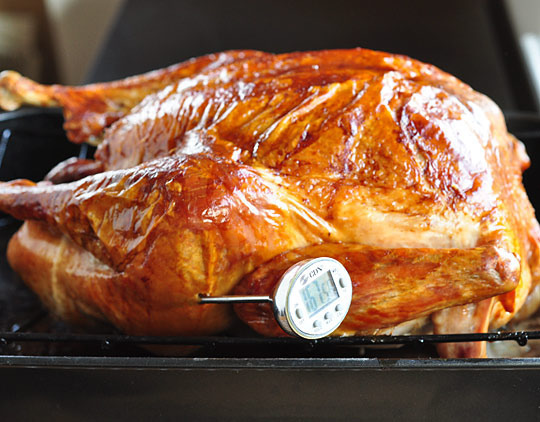 LOW AND SLOW- Set your oven to 325 Degrees Fahrenheit and allow 15-20 minutes per pound. Add about a 1/2 inch of water or stock to your roasting pan along with some carrots, celery and onions to keep the oven moist and aromatic. Just make sure that the thickest part of the thigh meat reaches 165 Degrees Fahrenheit! 5. 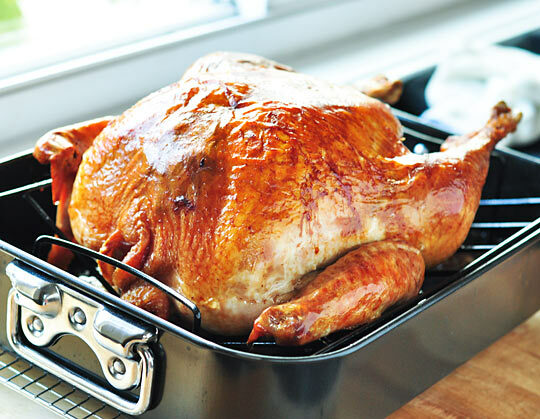 LET IT REST- Allow your turkey about 20 minutes to rest loosely covered with foil, once you remove it from the oven so that the juices can redistribute. Don't worry it won't get cold, it will actually stay hot for over 40 minutes! Now that you've got the basics with these How To Tips For Cooking A Turkey, feel free to add in your special touch or secret spice! Stay tuned for the 3rd Part of our Thanksgiving Series: side dishes! Get to your Thanksgiving destination safely with our Brake Shop Discounts and Tire Discounts. Brighton Ford is located at 8240 Grand River Ave. just north of I-96 in Brighton. We are a family owned and operated business that strives on customer satisfaction. For more information on Brighton Ford visit BrightonFord.com or give us a call at (800)-836-8206. I'm looking forward to my first home-baked turkey. How i miss my mom's cooking. Getting married just June was big leap for us. Thanks for this article though.